Dried lavender can be used as a clothes moth repellent, and has many other uses, and is available here to buy online along with lavender bags and bunches and many other associated products. Clothes moths are tiny moths that like to live indoors and tend to attack the contents of your wardrobe. They particularly like natural fibres such as wool and leave tiny holes. Once you have an infestation, they are hard to irradicate. However lavender bags hung in you wardrobe should help to prevent them setting up home in the first place. The moths are simply deterred by the smell. The bags are of most use in small, enclosed areas and should last for about 2-3 months if squeezed from time to time to refresh the fragrance. After this time, they can be opened and refilled with new dried lavender, or refreshed with lavender oil (essential oil not fragrance oil). 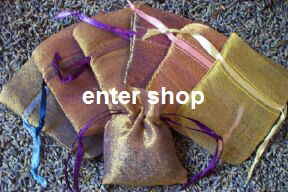 We have a wide range of lavender bags hand filled to order.